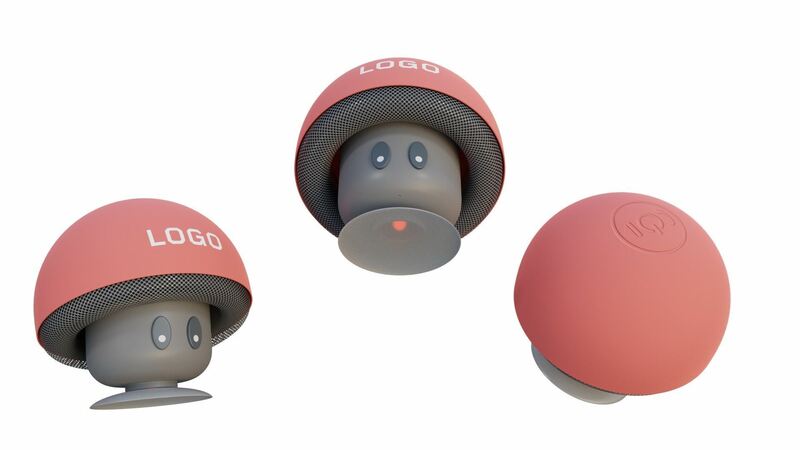 Mushroom Bluetooth Speaker Stand. Supplied in a gift box. Perfect for watching movies and listening to music. Print Size: 20x20mm. Available colours: Black, Red, Light Blue, Pink, Yellow and Green.